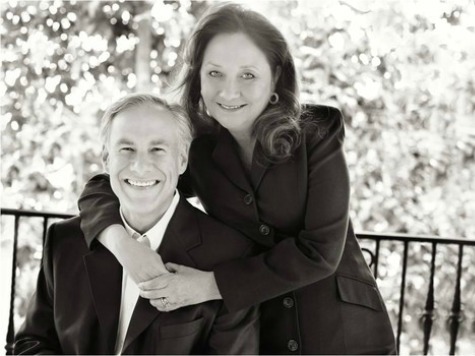 Shortly after the New York Times published recent portions of a Cliven Bundy press availability involving racially insensitive remarks, leftist news outlets desperately attempted to connect Texas Republican gubernatorial hopeful Greg Abbott to the scandal. After closer examination of the progressive media coverage, a number of outlets conflated Abbott’s support for Texas property owners involved in a separate U.S. Bureau of Land Management matter with Bundy’s cause. The Wire, a division of The Atlantic Monthly Group, posted an article by Arit John and Abby Ohlheiser with the deceptive title, A List of Cliven Bundy’s Supporters, Now That We Know He’s a Pro-Slavery Racist. Abbott is, once again, listed as a Bundy supporter without a shred of evidence he has ever provided any kind of support of Bundy. Further, The Wire delineates the Texas and Nevada issues, yet continues its assault by assuming any anti-BLM sentiment is pro-Bundy. What he said then: Abbott didn’t come out in defense of Bundy [emphasis added] so much as his ideas– he used the media attention surrounding the Bundy stand off to highlight federal land claims in his home state. “I am deeply concerned about the notion that the Bureau of Land Management believes the federal government has the authority to swoop in and take land that has been owned and cultivated by Texas landowners for generations,” Abbott wrote in a letter to the BLM this week. The letter echoed Bundy’s language, as he argued his family has also owned the land for generations. The list continues. Slate.com’s article stated conservatives like Arizona Rep. Paul Gosar and the “likely next governor of Texas Greg Abbott rallied to him,” yet offers not a single quote or piece of evidence supporting their claim of Abbott’s support of Bundy. The Daily Kos mailed it in with a copy and paste job from Raw Story. It appears left media are desperate to find a way to wound the striding Abbott campaign. Wendy Davis, Abbott’s principle opponent, is trailing badly in the polls and many Democrats are talking about shifting their support to their Lt. Governor candidate Sen. Leticia Van de Putte. Beware leftist media outlets hoping to conflate Texas and Nevada BLM issues to Abbott’s detriment–both Davis and Van de Putte are on his side as well, according to the Houston Chronicle.